Mr. Wellener began his career with the company in May, 2002. 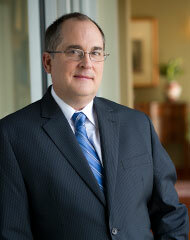 Mr. Wellener has more than 30 years’ experience in finance and accounting. Prior to joining Greenberg Gibbons, he worked as Senior Accountant for Heine & Hermann PA and later for McGrow, Pridgeon & Associates, and as Chief Financial Officer for Lawrence Construction Company, Inc. and later for Lancom Communications, Inc. He earned a Bachelor of Science Degree in Accounting from Lynchburg College.